After summer passes us away we have the most amazing tan from laying on the beach. But after some time, the tan becomes ugly and unattractive on the face and hands and takes away all the fun from the outing. 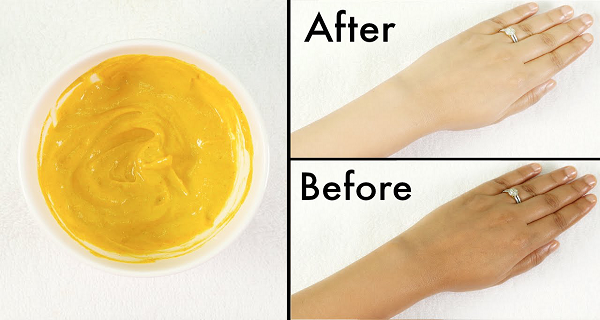 Most people use quick fix solutions like a session of bleach or use cosmetic products to bring their natural tan back. But human skin is so sensitive and treating it wrongly may cause serious effects in the long run. So, we offer you some extremely helpful home remedies to remove sun tan and nourish and renew your skin at the same time. Excessive exposure to ultraviolet rays of the sun accelerates melanin production in the skin.This might lead to darkening of exposed skin. Sun tan usually occurs on the face, neck, arms, and legs. Take a look at this video below and learn how to make this amazing mask.